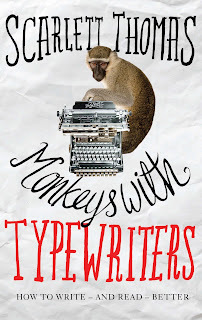 The great thing about Monkeys with Typewriters is that Scarlett Thomas is a fiction expert who has used her experiences of teaching writing and writing fiction to create this helpful book. Thomas currently teaches creative writing at Kent University, England and she is the author of eight novels, including The End of Mr. Y and Our Tragic Universe. I am a big fan of Thomas’ fictional work and I was really glad when a copy of Monkeys with Typewriters arrived on my doormat. The book is split into two sections – theory and practice. I enjoyed the second part the most especially the chapter called ‘Beginning to Write a Novel.’ Here, we learn that writing a novel doesn’t happen in one huge setting but needs to be broken down into smaller bitesize chunks. I really want Thomas to write a sequel about novel writing. I found the first part was a good reminder on plots and their meanings. This section would be ideal for a beginning writer who is looking to discover more about the meaning of stories and ways to use this in fiction writing. Thomas offers an introduction on the eight basic plots, Plato’s and Aristotle’s theories and the meaning behind stories. The accessible writing style makes it great for beginning writers who are looking for an introduction to the theory behind writing. Thomas uses examples ranging from the classics, to modern, bestselling fiction as well as looking at the plots of movies. The theories are not new but Thomas neatly puts them into one user-friendly book and breaks them down into manageable chunks. I have read a lot of books on the writing craft over the years and Monkeys with Typewriters is the most chatty, yet useful book I have read about the theory and practice of writing. Fans of Thomas’ fictional work will enjoy reading the small nuggets of insight into her own writing inspiration and processes for her own novels. The reader learns about her writing mistakes and her different methods for each of her novels. This book gives off the message of ‘it’s about finding the right method for you.’ This is a message that many books about the writing craft seem to forget. Before I started reading Monkeys with Typewriters I was suffering from a lack of ideas and low self-esteem with my writing. I was even considering calling it a day but Monkey with Typewriters has made me remember what I love about writing. Thomas offers great writing and reading exercises through the book with helpful matrixes at the back of the book for the reader to print out and use to help with thinking about stories based on our own personal stories. Thomas insists there is always a story lurking no matter how ‘ordinary’ life seems to be. And she is right. 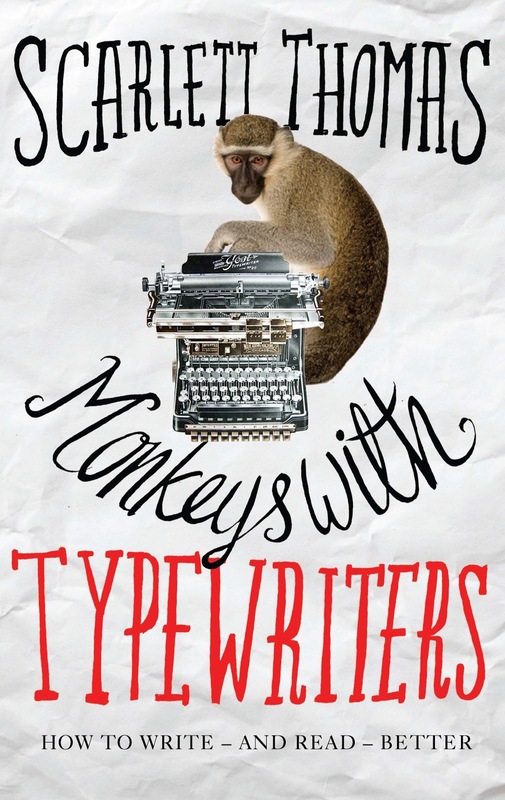 Monkeys with Typewriters is a fantastic book for both readers and writers who want to learn about the meanings behind plots, discover ideas in everyday life and to write fiction.